Not the words anyone wants to hear having just passed through security control at an airport. Yet, that’s exactly the phrase that rang out as I repacked my bag at London Heathrow ahead of a long trip recently. I turned around, expecting the worst. I’ve gone through a wide range of backpacks over the past few years, and this was the first time one has received a compliment like that. The thing is, she was absolutely right. It is a cool backpack. What’s more, over that trip and the one after, the STM Myth continued to attract admirers. 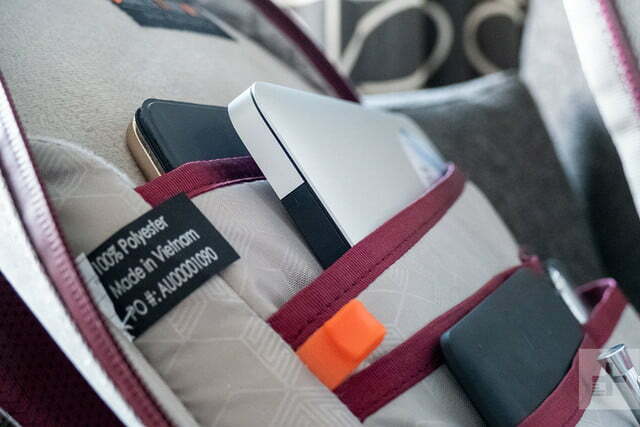 Backpacks are often highlighted for their functionality and capability to hold tons of stuff. The STM Myth does that while looking damn good, and that makes it worth everyone’s attention. The $120 STM Myth in the pictures has an 18-liter capacity, but you can also buy a $140 28-liter capacity version if you need the space. The design is compact, stylish, and ultramodern. The unfussy exterior is made from fabric with hardwearing panels around the sides, and it has a water repellent coating too. The TPU coated webbing handle on the top is thin but strong, and hasn’t stretched out over the time we’ve been using the bag. That’s due to the fabric-secured rivets holding it down either side. The same plastic material is used for the zip grabs, which are long, grippy, and easy to find. The front pocket is small and a tight fit for anything large, but good for small items. 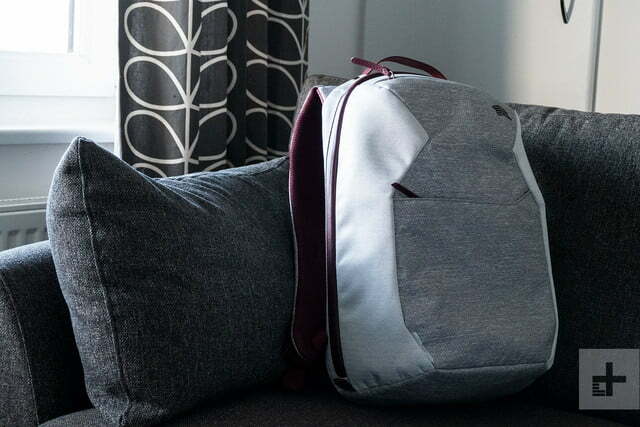 On the top is a fleece lined exterior pocket for anything valuable you don’t want scratched. 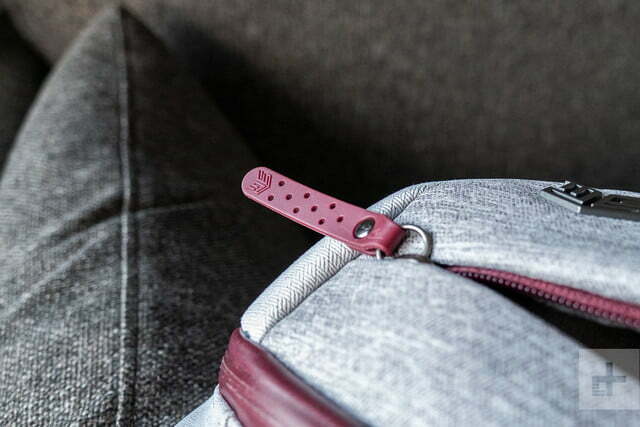 The main section is opened using two opposing zips which extend down to the bottom of the bag itself, letting it open out like a sack. Panels either side keep the bag from flopping open. Access is difficult until you undo the zips entirely. 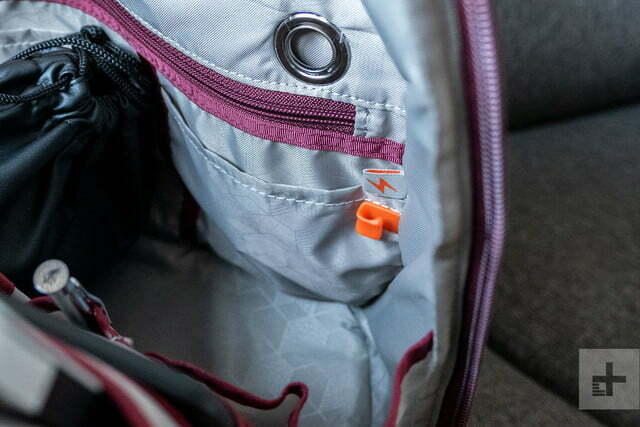 Once the bag is open, digging around inside is easy, and there are plenty of pockets to keep things organized. 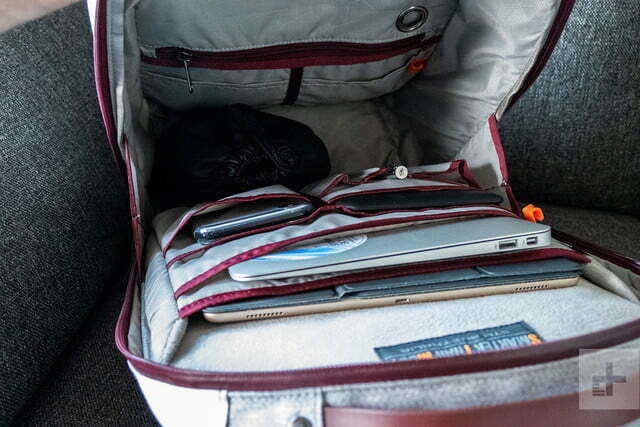 The main pocket is designed to take a laptop up to 15-inches in size, but depending on the model, this may be a bit of a squeeze. We tried it out with an Apple MacBook Air, and an Acer Chromebook — both with 11-inch screens — and although there was an inch of space either side of the computer in the pocket, a larger chassis would really stretch it out. It’d be safe inside the padded pocket though, as it suspends what’s inside away from the edge of the bag, minimizing the chance of possible damage if the bag is dropped. 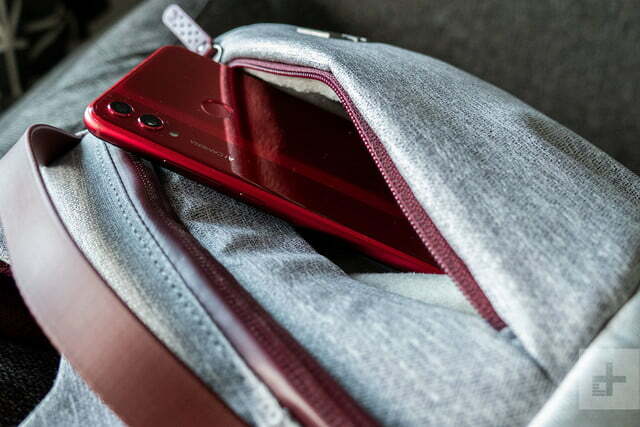 Slim main pocket aside, the bag is spacious. 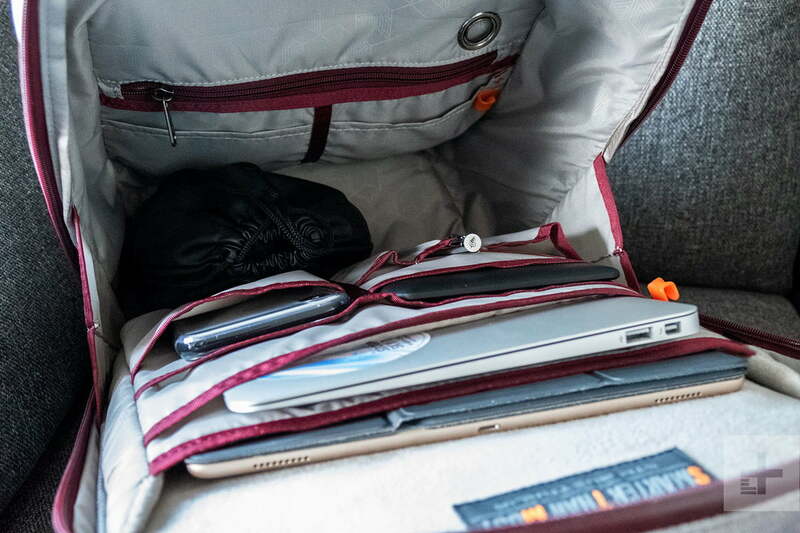 On the last trip, the bag stowed a 12-inch iPad Pro with a keyboard case — this went in the main pocket — a Kindle Paperwhite, a pair of Audio-Technica ATH-M50xBT headphones, and five different smartphones. That was before all usual items you take in a travel bag, from your passport and wallet, to snacks and a bottle of water. There is no exterior bottle holder, so it has to go inside. Despite all this equipment, the bag is very comfortable to wear and conceals the weight very effectively. 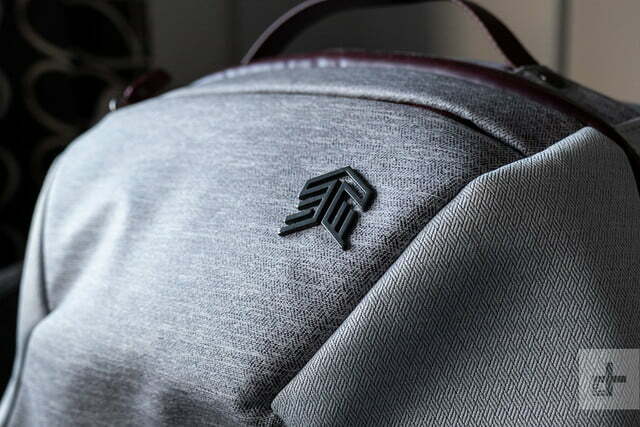 The contoured back of the back may look slightly odd when you first see it, but it doesn’t stop anything being put inside — and is likely the secret to the Myth backpack being so easy to wear for long periods of time without fatigue. We experienced no shoulder or back ache during or after using the Myth. The design also encourages you to wear it over both shoulders, rather than slinging it over one. It feels much more pleasant and is better for your neck and back too. Despite all this equipment, the bag is very comfortable to wear. Anything bad? 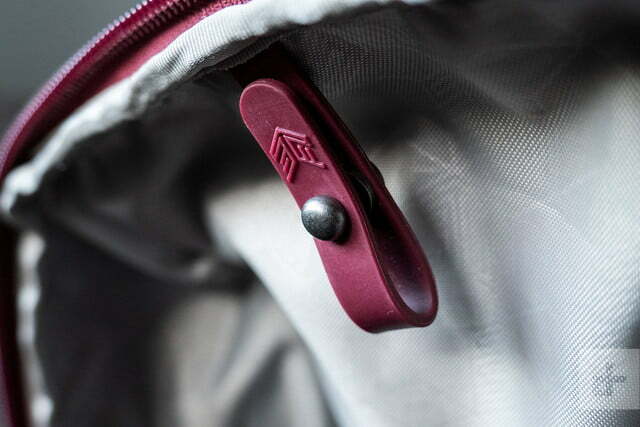 We didn’t use the cable channels that run through the Myth backpack, simply because we had no need, although the little hook on the inside to keep a cable handy is a good idea. You must open the zips all the way before delving inside if the bag is full, otherwise it’s too tight to get anything out. The 18-liter model isn’t that big, and although it managed to take everything we wanted, there wasn’t much room left for any last minute additions. Those who don’t travel lightly would be wise to consider the 28-liter version. 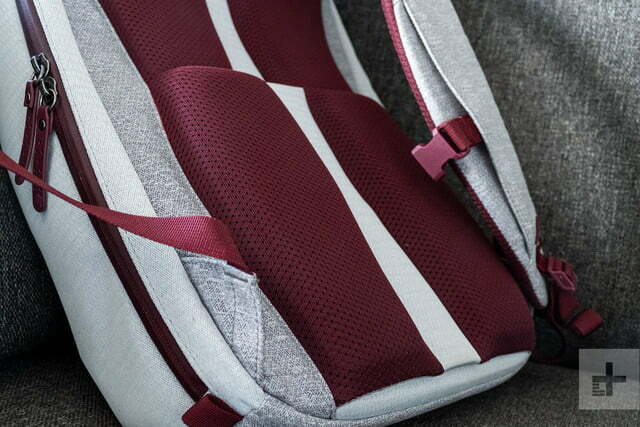 Visually, the sleek 18-liter Myth backpack is way more attractive; but that’s not the real reason it caught the eyes of so many — it’s the color. You’re seeing the Windsor wine version, where a deep burgundy red complements the mottled grey and off-white fabric perfectly. 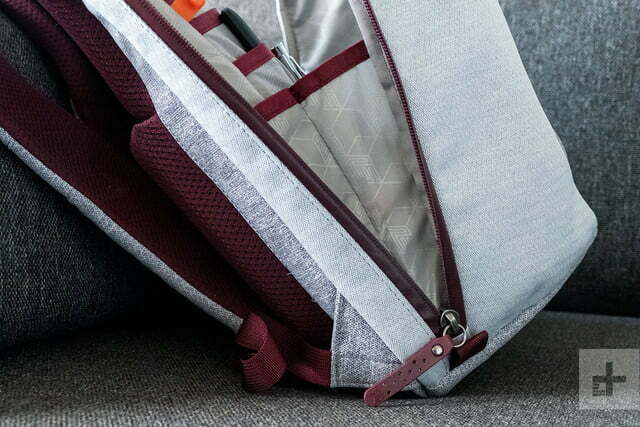 It goes with everything, isn’t boring, doesn’t get lost in needless technology, and looks totally unlike other backpacks. 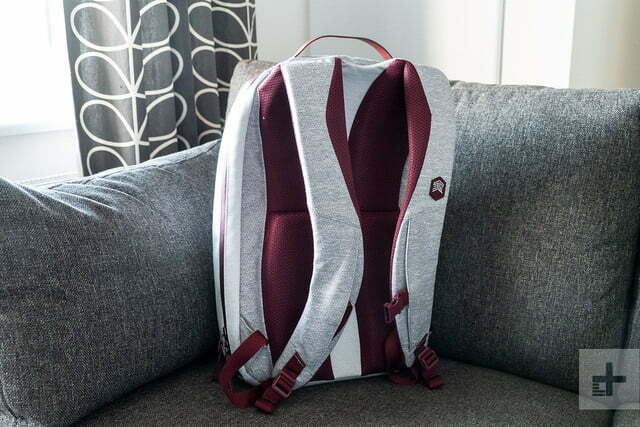 It’s also unisex, and completely avoids looking like a backpack you’ve had since school. The Windsor wine STM Myth looks like a backpack you choose, not settled for, and judging by the attention it received, this is obvious to many. We highly recommend it. 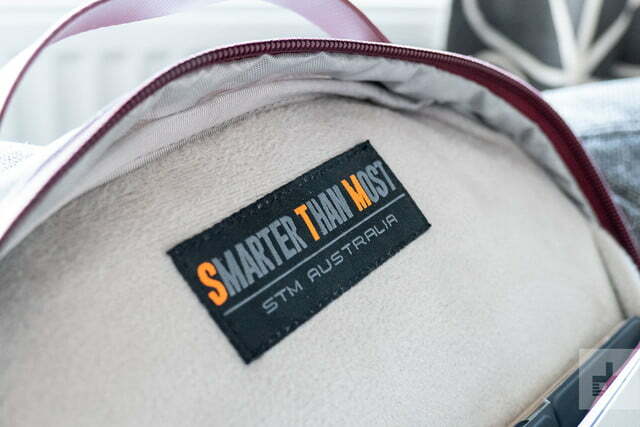 The STM Myth backpack, and other Myth products, can be purchased through STM’s own website and Amazon now.